The New York City Digital Art History (NYC-DAH) group brings together local institutions and individuals with an interest in the practice of digital art history. The NYC-DAH is an opportunity for art historians, artists, curators, conservators, students, and members of the GLAM community (galleries, libraries, archives, museums) to meet each other and share knowledge, projects, and initiate collaboration. The immediate goal of the group is community building. 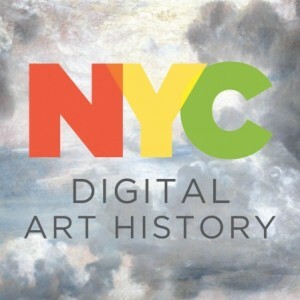 Through the NYC-DH website and community activities, the group aims to connect key institutions and individuals, and build a dynamic network of digital art historians, designers and engineers. Our first workshop took place on February 11, 2016 at the Institute of Fine Arts, New York University. Join the NYC DAH group to get updates on the group’s activity and upcoming events. This topic contains 0 replies, has 1 voice, and was last updated by Jason Varone 6 months, 3 weeks ago. The NA+DAH Workshop is a Getty Foundation-supported event that will bring together art historians, network scientists, and digital humanists to advance research at the intersection of these fields. Directed by Alison Langmead (University of Pittsburgh), Anne Helmreich (Texas Christian University), and Scott B. Weingart (Carnegie Mellon University)—all scholars engaged with digital art history and network analysis—the Network Analysis + Digital Art History Workshop will unfold over a full year and will be framed by two face-to-face convenings held at the University of Pittsburgh, a schedule that will allow participants to learn advanced digital methods and project management skills while fostering a close-knit interdisciplinary community. By the end of the Workshop, participants will have the expertise and support structure needed to conduct sophisticated research and build advanced projects at the intersection of network analysis and art history. The NA+DAH workshop will welcome up to eight project teams (representing art historical, technical, and analytic expertise) for a series of in-person and video convenings, with the expectation that teams will also be working and collaborating outside the convening framework to develop and advance their research projects. It is expected that this Getty Advanced Topics in Digital Art History Workshop will lead to a significant body of research and we anticipate a potential edited volume or online repository to share its results. Convening 1: The week-long “Digital Art History + Network Science Institute” will take place from Monday, July 29–Friday, August 2, 2019. During this Institute, participating teams will engage with the grand challenges in digital art history and network analysis, and propose and structure a year-long research agenda (guided by expert facilitators) that uses network analysis to advance art historical inquiry. Potential research topics include museum provenance, exhibition histories, stylistic similarities, and the history of the art market. Teams should begin working on their data and approaches in advance of the event, as the convening will focus on aligning data with project research agendas. Up to three members per team will be supported to attend this convening. Between Summer 2019 and Summer 2020, the teams will continue to advance their research agendas. Each project team will participate in monthly meetings, convened virtually, to check in on progress and identify further resources as needed. These virtual meetings and related support will be facilitated by a research assistant and augmented by the expertise of the leadership team. Convening 2: The two-week-long “Co-Working Institute in Art History + Network Science” will take place from Monday June 22–Friday, July 3, 2020. This event will include a rigorous daily agenda consisting of continued training opportunities focused on the exact needs of the teams and current problems in the field, ample project work time, and daily keynote lectures by interdisciplinary experts that offer a larger, field-wide picture. Up to four members per team will be supported to attend this convening. We encourage scholars to apply who are either already engaged in digital art history and wish to work with network analytic approaches in more depth, or who are engaged in network science and seek to understand better how their expertise might be applied to art historical problems. Early, mid, and later-career academic scholars are all welcome to apply, as are teams that include art museum professionals, librarians, advanced graduate students, and others. Teams of at least three that are already formed will receive priority consideration, particularly those demonstrating a pre-existing breadth of technical and art historical expertise. Individual scholars with a project in mind, but who are not yet affiliated with a team, are encouraged to contact the workshop organizers (na-dah@pitt.edu) early to seek assistance in finding potential collaborators with whom they can apply. Members of the project teams (up to three participants for the 2019 Institute and four for the 2020 Co-Working Institute) will receive funding for travel to Pittsburgh, lodging, and a per diem rate for food. Additional team members may attend if self-funded. To apply, send a 500-word project proposal, including a statement of the goals for the project, with citations as appropriate (word count is exclusive of citations), as well as a brief description of the project team (no more than 300 words per person), their expertise(s), and a CV for each team member (including links to relevant previous or current digital projects) to na-dah@pitt.edu. Applications are due October 15, 2018 and should be sent in PDF format only. Once all the applications are reviewed, those teams advancing for final consideration will be interviewed over video conferencing between November 5–16, 2018. Acceptances will be sent by December 14, 2018. This topic was modified 6 months, 3 weeks ago by Jason Varone.